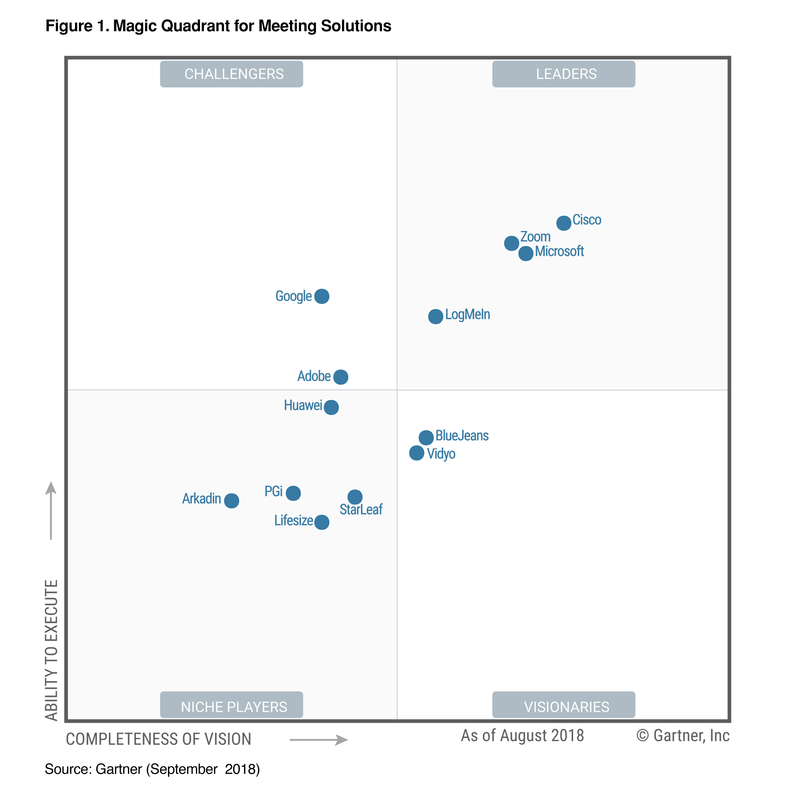 Gartner, the world's leading information technology research and advisory firm, has positioned LogMeIn in the Leaders Quadrant of the 2018 Magic Quadrant for Meeting Solutions. Read the report to learn why we're a Leader and to get Gartner's take on the key services in the market. This graphic was published by Gartner, Inc. as part of a larger research document and should be evaluated in the context of the entire document. The Gartner document is available upon request from LogMeIn.